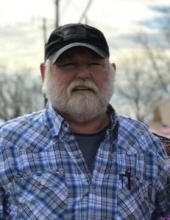 Clarence Kenneth “Kenny” Adams, 70, of Moss Point, MS, passed away on Friday, January 11, 2019 in Houston, TX. Clarence was born on April 25, 1948 in Jackson County, MS to the late Clarence L. and Catherine L. Adams. Clarence was a classic car enthusiast and enjoyed drag racing. He worked as a school bus mechanic for over 36 years for the Pascagoula-Gautier School District. He was a devoted husband, a loving father, and an excellent grandfather. In addition to his parents, Clarence was preceded in death by his first two wives, Diane Adams and Regina Adams. He is survived by his loving wife of 16 years, Tracie Darlene Adams; children, Kenneth (Crystal) Adams, Clayton Adams, Wyatt (Tiffany) Adams, Michael (Hailey) Harris, and Brian Harris; grandchildren, Wesley Adams, Elena Adams, Emlyn Adams, Reagan Adams, and Lera Adams; sister, Sissy (Dale) Hickam; along with nieces, nephews, other family members, and friends. The family would like to express their heartfelt thanks to M.D. Anderson Cancer Center and Harbor Hospice for the excellent and loving care they provided to Clarence. The visitation for Clarence will be held on Saturday, January 19, 2019 from 11:00 a.m. until 1:00 p.m. at Heritage Funeral Home in Escatawpa, MS. The funeral service will follow in the funeral home chapel beginning at 1:00 p.m. with Bro. Wendell Stork officiating. Interment will be held at Griffin Cemetery in Moss Point, MS with his sons and grandson serving as pallbearers. In addition to flowers, the family requests donation be sent to M.D. Anderson Cancer Center., Attn: Development Office, P.O. Box 4486 Houston, TX 77210 or online at gifts.mdanderson.org in memory of Clarence. To send flowers or a remembrance gift to the family of Clarence Kenneth "Kenny" Adams, please visit our Tribute Store. "Email Address" would like to share the life celebration of Clarence Kenneth "Kenny" Adams. Click on the "link" to go to share a favorite memory or leave a condolence message for the family.